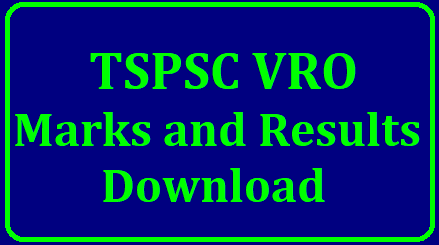 TSPSC VRO results 2018: The Telangana State Public Service Commission (TSPSC) has released the result for the recruitment exam against the post of village revenue officer (VRO). The candidates can check the results through the official website, tspsc.gov.in. Village Revenue Officers and Village Revenue Assistant Posts in Telangana Eligibility Educational qualifications and others Applications are invited Online from qualified candidates through the proforma Application to be made available on Commission’s WEBSITE (www.tspsc.gov.in) to the post of Village Revenue Officer in Revenue Department in the state of Telangana. Board of Intermediate Examination or its equivalent examination. Those candidates who qualify in the Examination in order of merit will be called for verification of Certificates, Community and Category wise for the vacancies available as required. The minimum qualifying marks for Selection are for OCs 40%, BCs 35% SCs and STs 30%. The minimum qualifying marks are relaxable in the case of SC/ST/BC at the discretion of the Commission. Those candidates who are called for verification of certificates shall exercise web – option prior to verification of certificates, failing which his/her candidature is liable for rejection for further selection process. Mere securing minimum qualifying marks does not vest any right in a candidate for being considered for selection. The appointment of selected candidates (other than Physically challenged) will be subject to their being found medically fit in the appropriate Medical Examination, and if he/she is of sound health, active habits free from any bodily defect or infirmity. when will be tnpsc vro vra exam? when will be tspsc vro vra exam?